Looking for chocolate chunks that are dairy-free, soy-free, gluten-free, and refined sugar-free? What if you happen to need nut-free, too? Once you start looking at chocolate labels, you realize what a tall order this is. I can often find chocolate that is free of one of these ingredients at a time, but all of them? Good luck! Like so many foods, it’s easier and more cost effective to make it myself. 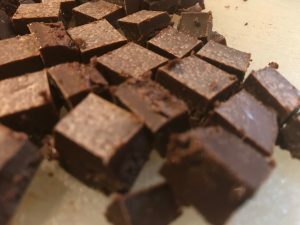 These homemade paleo chocolate chunks fit the paleo chocolate bill, plus the gluten-free, soy-free, dairy-free, nut-free bills, too. They have great flavor, and you can control the sweetness. Simply use less or more of your choice of liquid sweetener. You can really make this recipe your own! I prefer making my paleo chocolate chunks with cocoa butter. I taste a richer chocolate flavor and I prefer the final texture of the chunks. It’s firmer, closer to the chocolate we buy at the store. 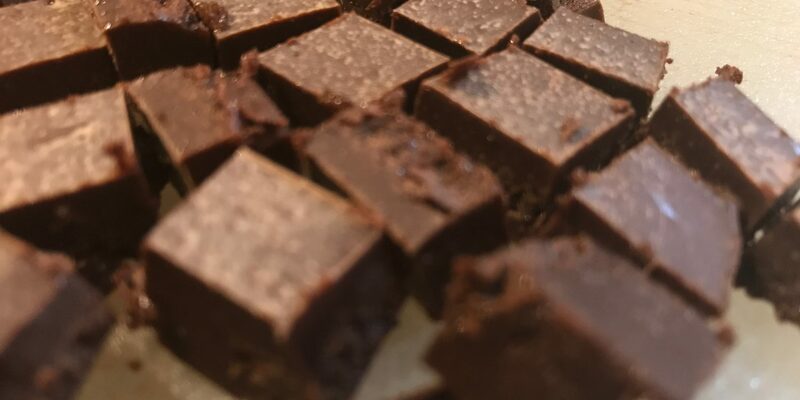 But, you can make your paleo chocolate chunks with coconut oil if you like. The final texture will be a little softer, but the flavor will be equally delicious. Total bonus, the recipe works either way. Give them a try and see what you prefer! Melt cocoa butter (or coconut oil) in a saucepan over low heat. Stir in cocoa powder and sweetener into the melted coconut butter (or coconut oil) until completely smooth. Make sure sweetener is completely melted and fully integrated into ingredients before removing from heat. Pour mixture into a lined 1/4 baking sheet. Put in fridge for at least 1 hour. Remove from fridge when set. Chop into chunks or bars.